This year's signature event will be held at the Heart & Crown in the ByWard Market, Monday November 12, from 7:00 PM to late. 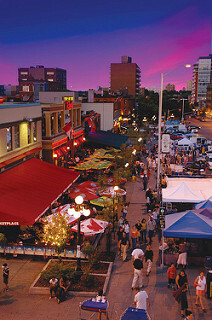 The Heart & Crown, in Ottawa’s historic ByWard Market, consists of 5 pubs under 1 roof with 6 patios that make-up what is locally known as Ottawa’s Irish Village. Featuring Irish-inspired dishes, live music daily and domestic & international sporting events; there’s a little something for everybody. The Heart & Crown is among Ottawa’s best known watering holes. We hope that you will choose to join us as we continue to celebrate TMM2018!